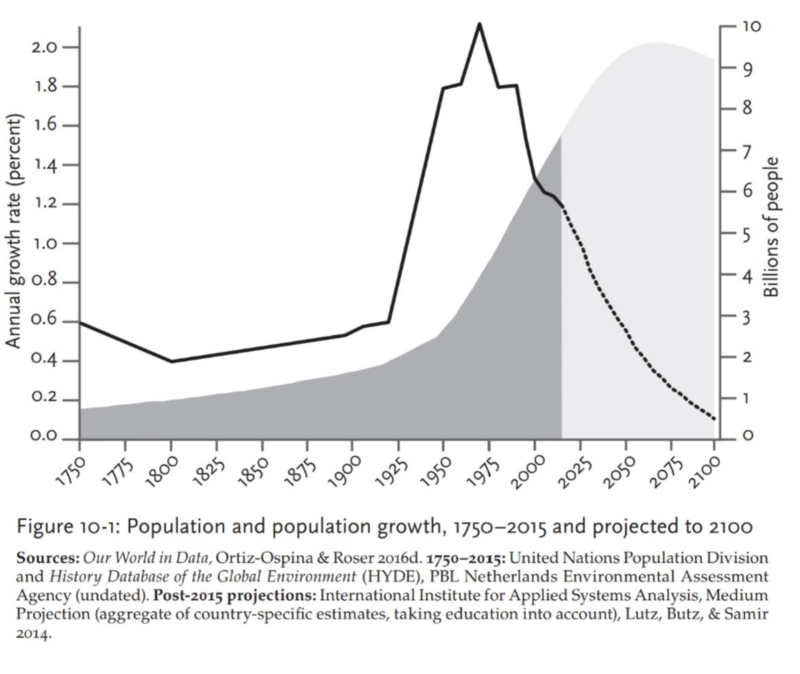 "The basic claim that global population, now 7.5bn, will decline rapidly later this century after peaking at below 9bn — rather than the 11bn that is the UN’s central forecast." - "Market economics failed to topple Chinese communism, but perhaps the halving of its population by the end of the century will do the trick instead." Why? "It can be summed up in one sentence. As societies urbanize, women become better educated (including about contraception) and more financially autonomous thanks to working outside the home, and this causes fertility rates to plummet, which is reinforced in most places by the weakening ties of family, clan and organized religion." "The catechism of environmental alarmism demands that we denounce the sinful nature of “destructive capitalism” for which punishment is not so much inevitable as it is richly deserved. If our disappearance from the planet is to be contemplated with complacence it is not because it is in any sense a realistic scientific scenario (or at least not until the sun becomes a red giant 5 billion years from now) but because it is the fate such extremists believe we deserve. The talk of extinction from those who accept the gospel of environmentalism is merely a new-age version of biblical warnings that First Temple–era Jews would be vomited out of the land of Israel if they worshipped false gods."